This program is special for those of you who want to celebrate christmas and new year with family or relatives, children, parents or colleagues or group. We will invite you to enjoy the beauty of bromo mountain as well as celebrating christmas and new year in Mount Bromo. Tourist destination that is common and frequented by tourists in the area of Mount Bromo include Mount Penanjakan, Kingkong hill, Love hill, Crater of Mount Bromo, Whispering Sand and Savana / Teletubbies hill. Celebrating Christmas and New Thaun must be with loved ones like family, friends, girlfriends or with co-workers. This year-end holiday can bring unforgettable memories that you will remember throughout life so that it will add to the closeness of family relationships, friends, girlfriends or fellow colleagues. We guarantee your tour will be more memorable because our team is very experienced for many years working in the world of traveling. Our team has a legality license from the agency in accordance with the expertise of each team. Like Tour Guide we have Lisesi from Culture and Tourism office and for dirver also have Lisesnsi from Traffic Police Unit. The tour will start after being pick up by our tour guide or driver at the Airport, Hotel or Train Station in Surabaya / Malang or places we have previously set. Our tour guide or driver will take you to Cemoro Lawang village Probrolinggo City for about 3 or 4 hours driving by private car depending on the capacity of the participants. You can stop wherever you want, talk to our guide or driver. 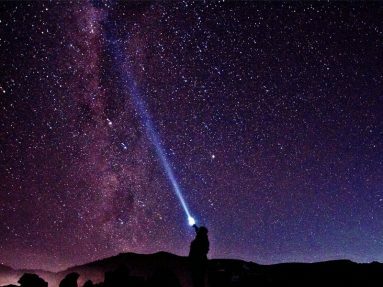 At 1:30 am for the preparation of the bromo sunrise tour, at 03.00 am you leave the hotel by using 4 WD Jeep Bromo to Mount Penanjakan, Kingkong Hill or Love hill a View point 1 which is the purpose of seeing the sunrise in this area to take picture and watch the sunrise. 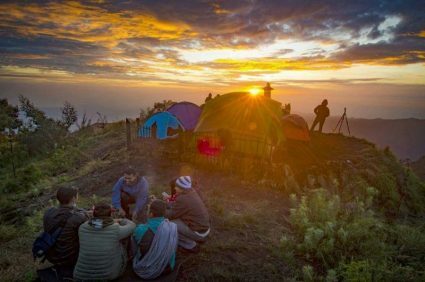 From the beauty of Bromo Sunrise you will see the highest mountain in Java, Semeru Mountain which releases gas of smoke every 20 minutes. Once satisfied with the sunrise, return to the jeep and will take you to the second location of Bromo Crater. Jeep Bromo will park 1 km before Bromo crater. From the Jeep parking you can walk or use rent horse service to the ladder on the next bromo mountain you will pass 250 steps to the lips of the crater. After that return from the crater to the jeep and jeep will take you to the third location of the Savana / Teletubbies Hill that continues until the last point of the tour that is whispering sand. Finally jeep bromo will take you back to hotel.